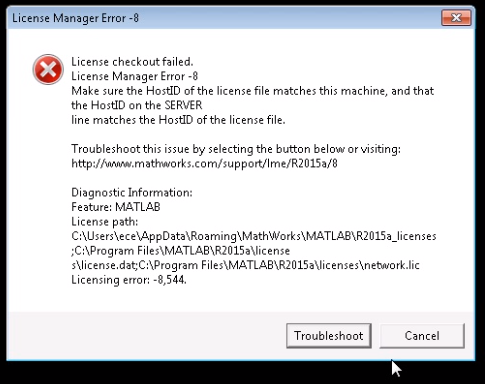 Recent versions of the MATLAB mathematical analysis software package have been experiencing issues finding the correct license file. 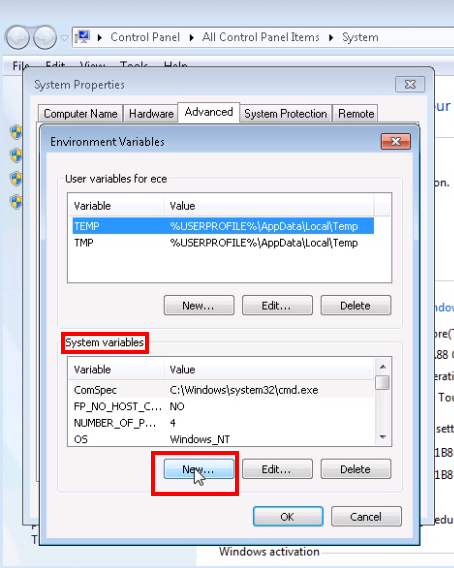 By setting an "environment variable", it is possible to override the settings file that comes with the installer, and direct the Matlab License Manager to the correct location. 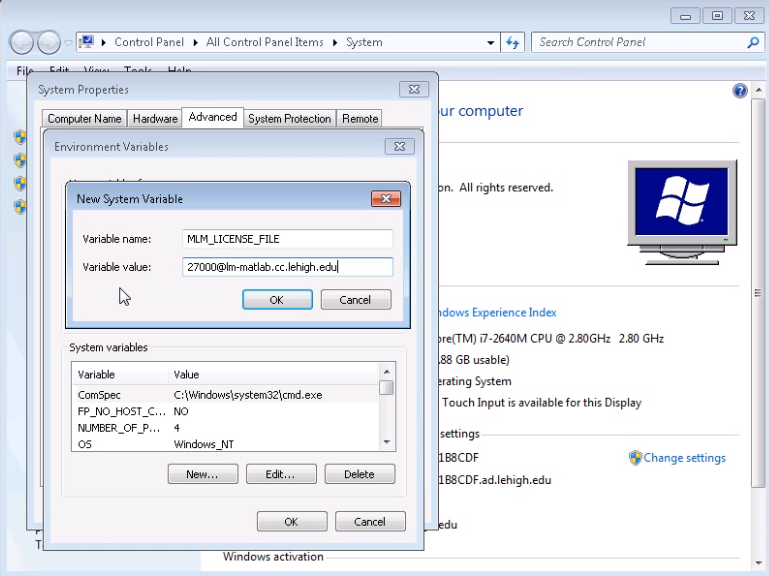 If you are running MATLAB under Windows and experiencing the problem described below, this set of instructions will show you how to set the correct environment variable to solve this problem. You need to follow these instructions if you see this error message when you try to launch Matlab after installing it. 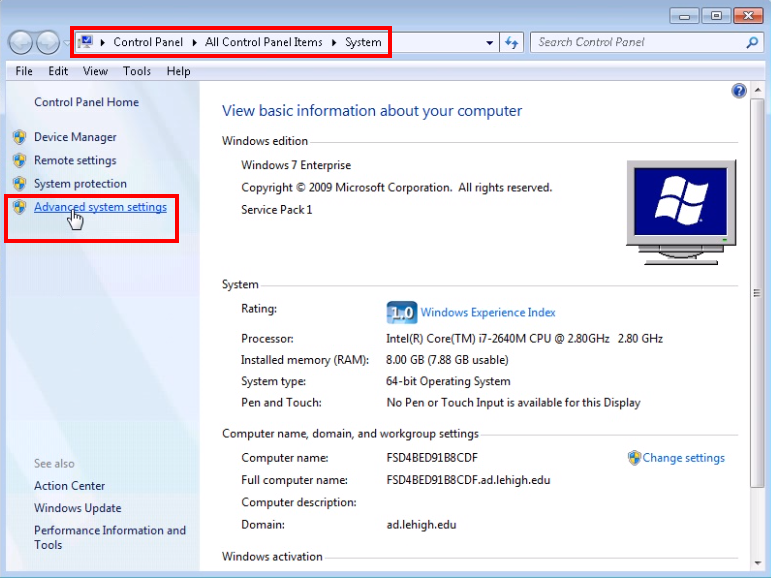 Open the "System" control panel. 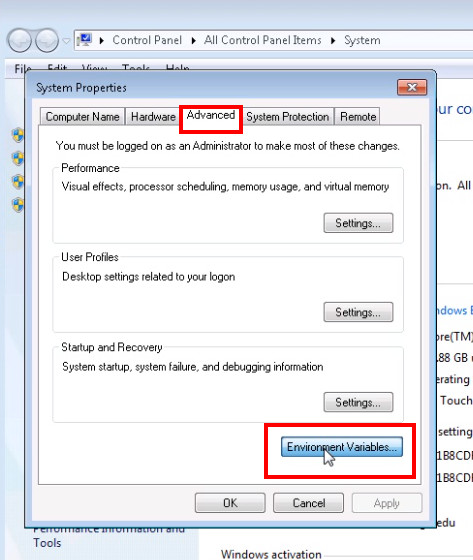 In the Environment Variables dialog, click on the button labelled New... under the "System variables" heading (second box). Do not click on the buttons below the "User variables" box. Enter MLM_LICENSE_FILE (all caps) for the "Variable name", and 27000@lm-matlab.cc.lehigh.edu for the "Variable value", as shown. 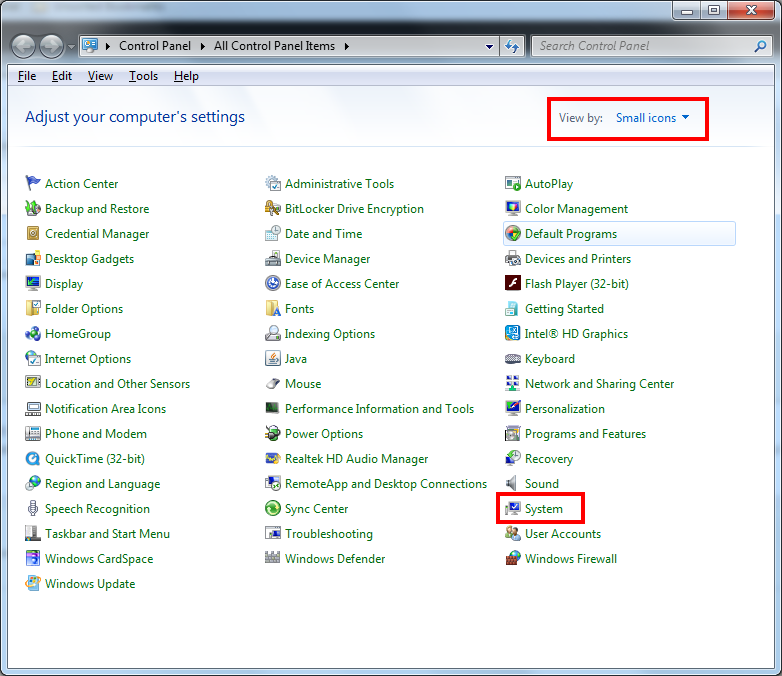 Click OK (three times, to get back to the control panel window). Close the control panel. 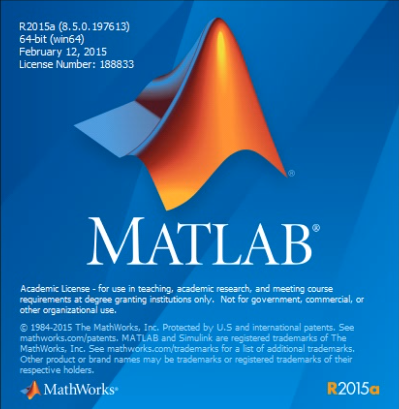 Now relaunch MATLAB. You should see the splash screen, as shown here, followed by the MATLAB main window. The program should now be working.